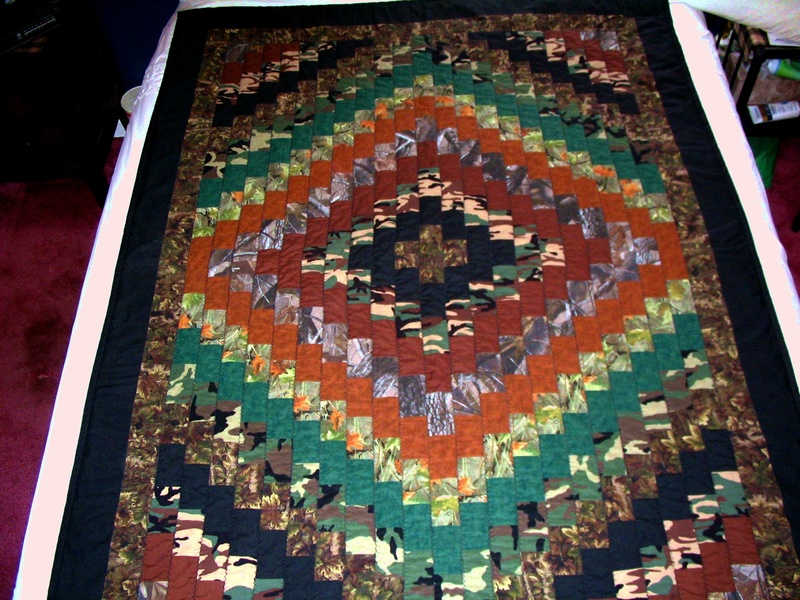 I am looking for a simple pattern to use brown camo and dog print fabric along with a few other solid and prints mixed in. I am going to put a pic of our friends dog in the middle. Do any of you have a pic or know of a pattern that would be good. How about a disappearing 9 patch? Yellow Brick Road is my go to pattern. I've made at least 4. Turning Twenty, Yellow Brick Road, D9P. Here's what I did for my grandchildren with their dad's old uniforms. When my great grand parents came to this country in 1872, they brought Great-great-great-granddads uniform along that had in been the war with Neopolian. The children needed warm clothes for the Wisconsin winters and the uniforms served the purpose. Luckily, we do have a picture of Peter in his uniform. 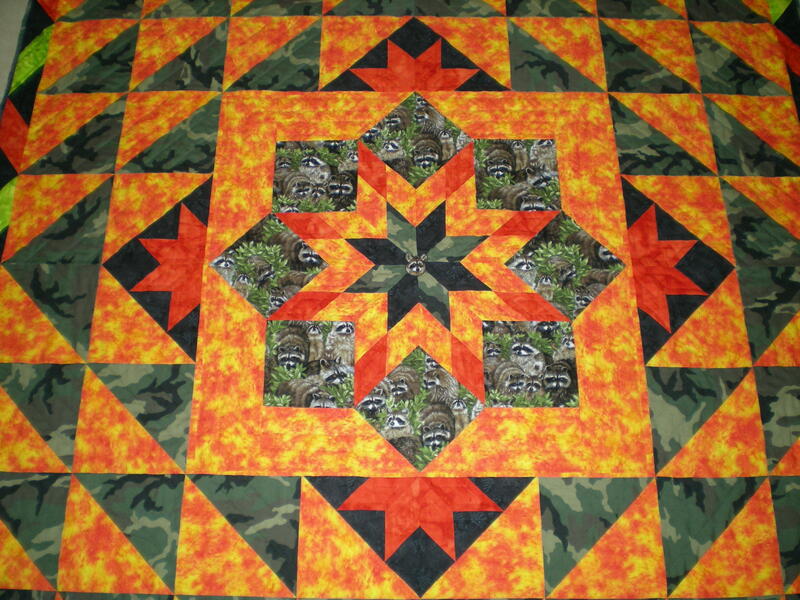 Here is a quilt that I designed for a friend who loves raccoons and likes to wear camo and tie dye (at the same time!). Oh, I love all the ideas. Trip around the world is one of my fav. 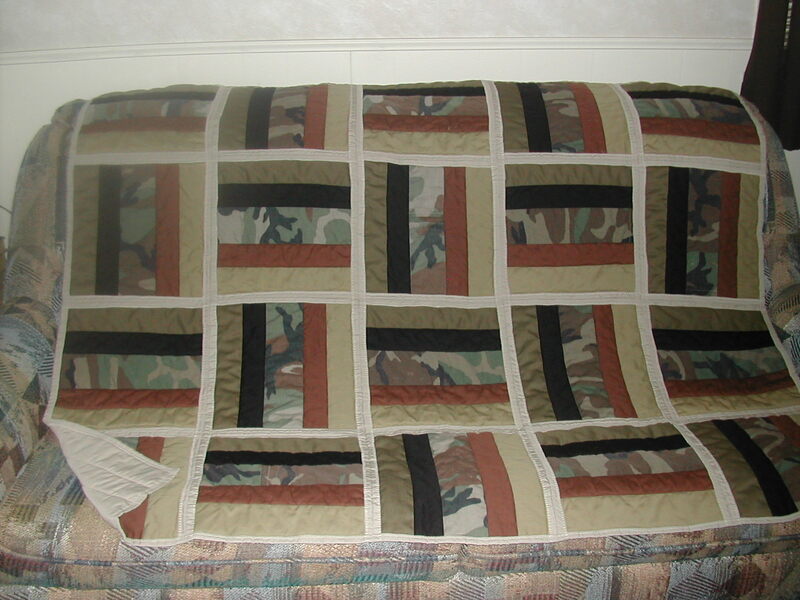 I like the uniform quilts, too especially the second one. 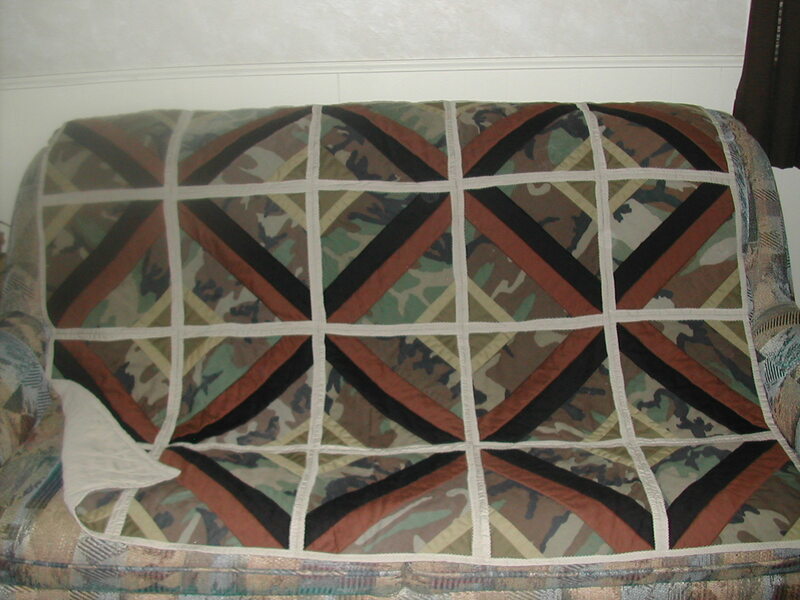 Is that a string quilt. My, decisions, decisions. Just an update. I decided on a log cabin pattern with stars inbetween blocks. Maybe a pic later. 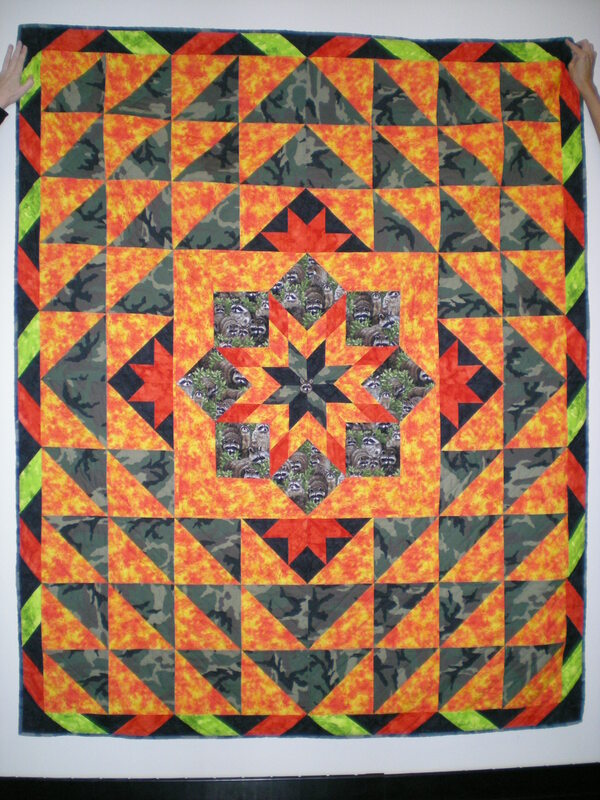 It's pinned and ready to be quilted on my new Handi-quilter sweet 16 that is being delivered today.